Cami and I just finished watching yesterday's episode of The Bachelorette. It's so dumb and after each season we swear we're not going to watch anymore but then we find ourselves sucked back in. It's probably genetic. My parents are addicted too. So is Cami's little sister and her husband (though he'll deny it) and her older brother and his wife. I'm not sure what it is but we're gluttons for punishment. So in yesterday's episode (**SPOILER ALERT**) Kaitlyn and the boys go to New York. The one-on-one date is at the New York Metropolitan Museum of Art, the Met. The group dates are with a hip-hop legend (I don't know his name, hip-hop isn't really my thing) and at the Broadway show, Aladdin. Kaitlyn and Chris (aka "Cupcake") end up getting to be part of the actual show too! Other dates we've seen over the seasons are playing with monkeys, traveling to exotic places around the world, helicopter rides, bungee jumping, romantic picnics on deserted beaches, awesome trips to high class vineyards... and the list goes on and on. The gifts that are given are often elaborate (a welded rose!?!?) or expensive, there is a lot of pressure to say exactly the right thing at the right moment, and the entire thing is just over the top. And all of it makes me feel inadequate. When was the last time you planned a date with your spouse that included a hot air balloon ride, a bottle of wine, a casual stroll through the countryside, and a picnic? I've never done that. The closest I ever came to that was when Cami and I were dating and on Valentine's Day I made heart shaped bologna sandwiches and bought heart shaped brownies and walked with her to the little league field and we ate on the bleachers (she kissed me for the first time that night so it must have been a pretty good date). 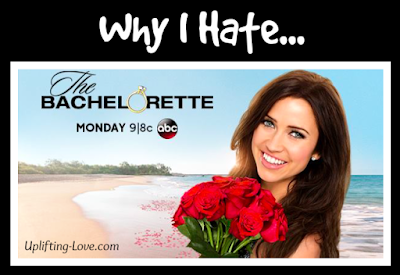 How can I compete with Chris Harrison (he's the host) and ABC's millions? And that's the problem. I can't compete. 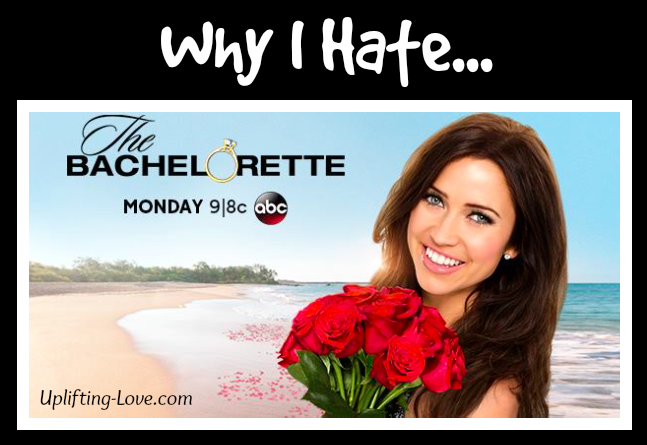 The idea of romance that is being portrayed on this show is grossly distorting reality. Romance is not a helicopter ride to a private beach in the Bahamas with a LOT of kissing all along the way. Romance is the selfless small and simple things that we do for each other each day. Leaving a note on the mirror, sending a sweet little text message, staring longingly across the room at her/him. These are the truly romantic things; and they're realistic. While I don't think anyone would disagree that a candlelit dinner on a private yacht after a day of swimming with dolphins wouldn't be awesome, let's be realistic. And that isn't. Romance isn't the grandiose, expensive, and "once in a lifetime" things we do. Romance is the selfless small and simple things that we do for each other each day. But it sure is fun watching that goofy show. Well put, Tyson! I think this idea is easily forgotten. I agree that it's the small things we do every day rather than these grand things they do on that show. But I'm glad you still enjoy watching it.